Live Laugh Run Breathe: Thankful Thursday: social media and an announcement! Thankful Thursday: social media and an announcement! 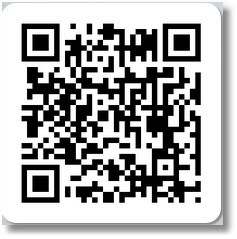 If you've "known" me for any length of time, you know I'm a social media junkie. What I didn't realize until I got a tweet today was that 3 years ago today I met Kirsten for the first time! She was coming to Chicago for a conference so I drove over to spend the weekend with someone I'd never met. Who says you can't become instant friends with someone! Not long after that, I headed to Baltimore for Fitbloggin '11 where I met more women (and a few men) who will be friends for life. I'm beyond crushed that I'm not heading to Portland today for Fitbloggin '13. The conference ticket I won from the Sisterhood of the Shrinking Jeans allowed me the opportunity to learn so much about blogging and myself that weekend (plus I got to hang with these rock stars). Now, thanks to those amazing connections and friendships, I have a very cool announcement! 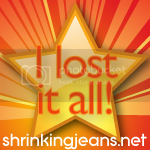 I am one of the newest writers for the Sisterhood of the Shrinking Jeans! I even have a writer profile :) I'm excited to be a part of a site and community that has given me so much love and encouragement over the past 3 years. 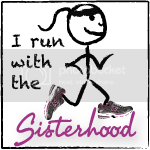 I'll be blogging a few times a month (my first post is planned for July 2nd) and I get to help Lisa out with the running areas of the site, as well as help manage the Run with the Sisterhood Facebook page! How is your Thursday going? Any thanks you'd like to share?